“Safari” might not be the first word that many travellers associate with India, but make no mistake: the subcontinent’s diversity of wildlife, lush landscapes, and luxury stays help safari trips in India rank amongst the world’s finest. One of India’s most renowned national parks, Ranthambhore, located in southeastern Rajasthan, is best known for its population of majestic Bengal tigers. But that’s not all that can be seen on safari trips in India to this sprawling nature preserve: from sloth bears to leopards, hyenas to wild boars, the 97,000-acre park is home to hundreds of different species. 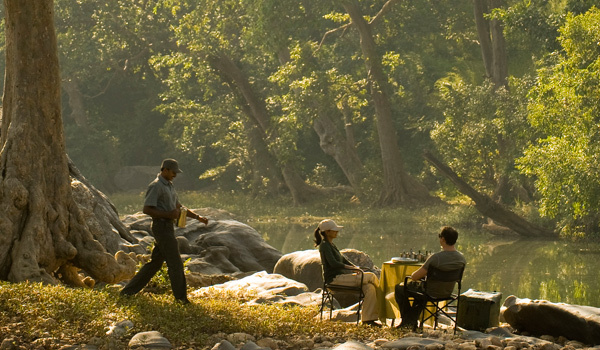 Some of the best park access is offered by the Oberoi Vanyavilas, located just a 10-minute drive from the jungle’s edge. Guests can stay in luxury tents, equipped with A/C and Wi-Fi, and enjoy romantic dinners at night, while by day they’re invited to explore the region’s unparalleled biodiversity. 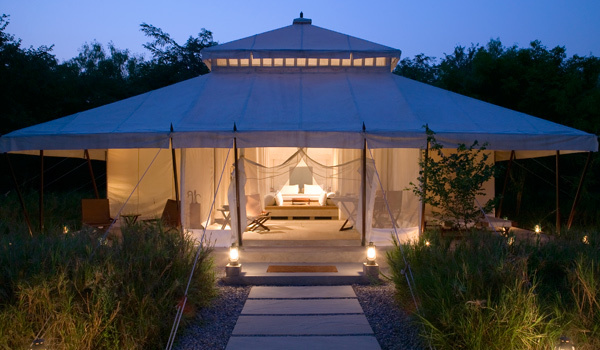 Among the best options for those seeking safari trips in India, Aman-I-Khás is also located on the edge of Ranthambhore National Park, framed by the picturesque peaks of the Aravalli Hills. 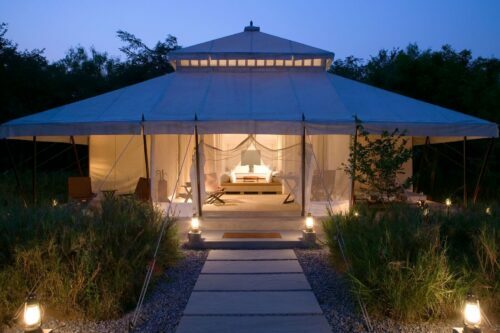 An intimate retreat, the camp consists of just 10 luxury tents, which are designed to recall traditional Mughal design and which feature king-sized beds, showers and tubs, air conditioning, and other high-end touches. As its name suggests, leopards, and not tigers, are the wildlife highlight for guests staying at the SUJÁN JAWAI Leopard Camp. 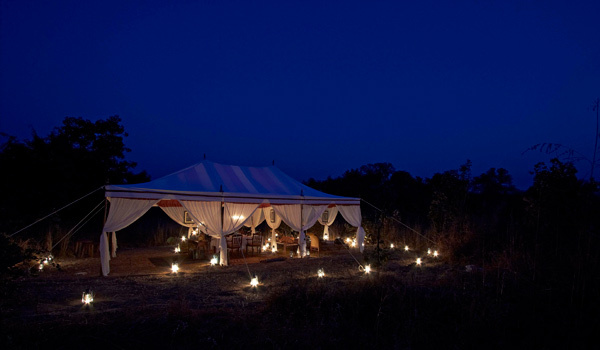 Another Rajasthan-based camp – though located far from Ranthambhore, in the drier and more remote turf between Udaipur and Jodhpur – the JAWAI Leopard Camp introduces visitors to another side of this diverse state. 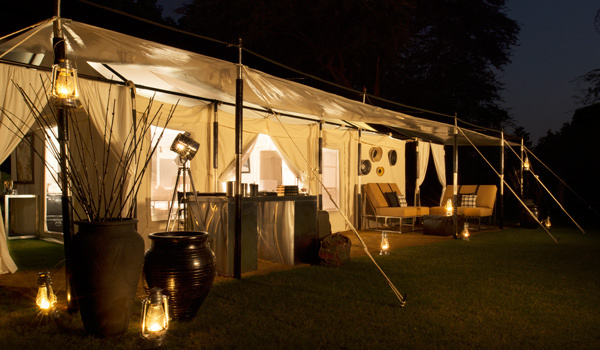 After a night in one of 10 luxury tents, guests will have the opportunity to take in the sights on a morning game drive, one of the best times of day to seek out the spotted big cats. 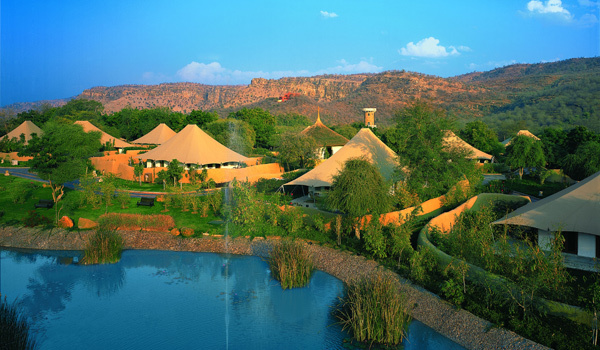 Found in Madhya Pradesh – a sprawling state located in the centre of the subcontinent – Samode Safari Lodge abuts Bandhavgarh National Park. Like Ranthambhore, Bandhavgarh hosts its own population of Bengal tigers; in fact, the park boasts the highest population density of tigers in the world. Evenings are spent at one of the retreat’s 12 on-site villas, while the days offer plenty of scope for exploration, with expeditions setting out in search of tigers, panthers, wolves, deer, and over 250 species of exotic birds. Taj Safaris invite visitors to explore four of central India’s most beguiling jungle tracts: Bandhavgarh National Park, Pench National Park, Kanha National Park, and Panna National Park, all of which can be found in Madhya Pradesh. The Taj Safari lodges are some of the best luxury offerings in the state, while also being true to the region’s culture: mud floored courtyards lead into fully equipped guest suites, while outdoor breakfasts are scented by fragrant incense. Each day, visitors will be sent out on two different 4×4 adventures, with expert guides for company.